Lytham & St.Annes on the Sea Lancashire - Local History - Things seen, heard, said, thought and done, just before the Armistice Days of 1918. 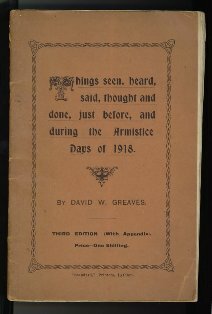 Things seen, heard, said, thought and done, just before the Armistice Days of 1918. Printed by the Lytham Standard Printing Co.